Last weekend saw guests and A-listers flourishing over beautifully designed premium bridalwear from princess-like ball gowns to mermaid lace cuts to even extravagant Mariah Carey-inspired runaway dresses in her We Belong Together music video. The Wedding KL had everyone wanting to walk down the aisle again in newly created pieces by Malaysia’s talented homegrown designers such as Hatta Dolmat, Liza Alzulkarnain and people’s favorite, Mimpikita. Started by two talented sisters, Nurul and Mira Zulkifli are the backbone behind the whimsical brand, Mimpikita, and has been for almost a decade. They began humbly designing pieces such as blouses and trousers for their customers which then led to them venturing into bridal. 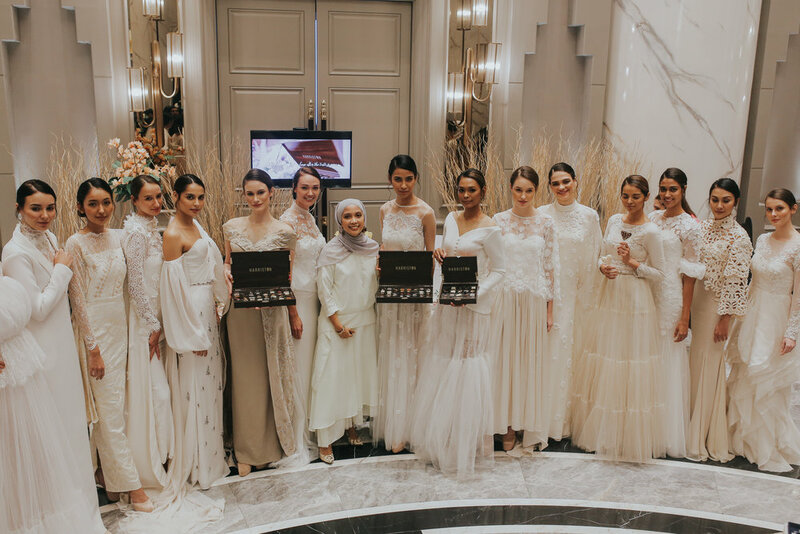 It was so well accepted by audiences that they decided to continue the collection to this year where they showcased at The Wedding KL alongside the event’s official chocolatier, Harriston Chocolate. 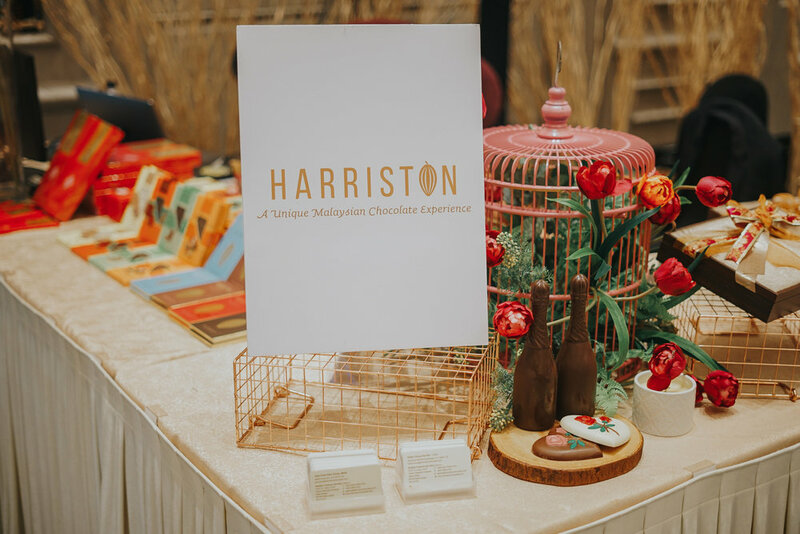 This year is a delectable year for The Wedding KL where they had homegrown chocolate brand, Harriston, as one of the official partners as well as have them collaborate to create specially designed chocolates for Mimpikita. What’s amazing besides the scrumptious indulging chocolates? It is customly made using Mimpikita’s signature bridal prints that you can see (and is eatable) on the chocolates. Each guest attending the show were able to bite into the ruby chocolates and enjoy the whimsical collection. Mimpikita’s bridalwear features a blend between beaded and stoned mermaid silhouettes to layered tulle fitted dresses that defines the brand’s signature designs. Celebrities like Bella Dally, Neelofa and Hanis Zalikha have donned Mimipkita and we are looking forward to see what else is in store from them next year. Craving for chocolate? How could anyone not. Discover Harriston Chocolate that is one of the largest homegrown chocolate makers and retail chains with 5 flagship stores in KL, Penang and Pahang. Made with Malaysia’s own unique twists and flavors, visit their Instagram at @harristonchocolate. For more information about Mimpikita collection please visit their website here.